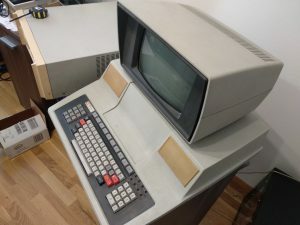 This machine is the latest addition and currently not in working condition. 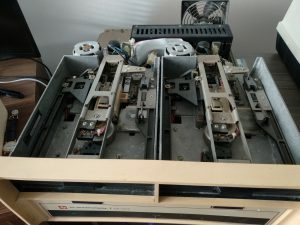 I only have it since march 2018. 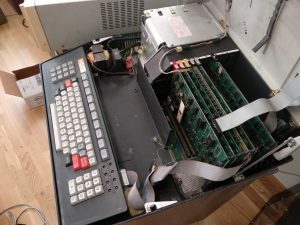 The power supply logic of the main unit is currently analyzed. 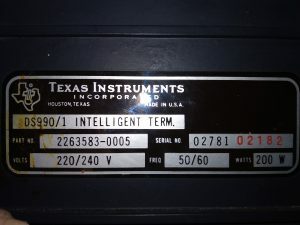 It was also available as upgrade of a Texas Instruments Series 700 Intelligent Terminal, Model 770 or Model 771. 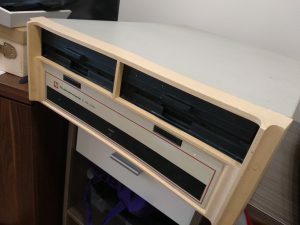 My computer seems to be based on a Model 771, at least the name of the 64 KByte Ram card even includes 771 in its name. 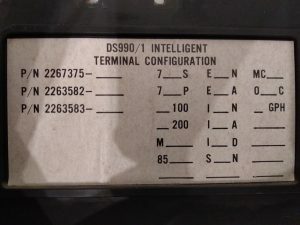 While the Model 771 was a true Intelligent Terminal, running from Eproms, the DS990/1 was usually used together with a FD1000 and loaded its operating system from an 8 inch Disk.